jameswaterfield wrote: What you don't realise is that there was a 3 foot tall steam dome hidden through the tank! Awesome work Michael Seeing as Ian Holmes hasn't been posting here for some time now, I think I'll quit on his behalf! I'm really enjoying this, Michael. It's awesome - work like this really encourages me, even if I gnow I could never emulate it. Thanks; I'm looking forward to seeing hte finished article. Bertrand is justly proud of it. Simon, thanks for reminding me about Ian, I often wonder where his model work is progressing. A little more work this evening. I did some thinking about how to build the top tank an realized that the best way might be to make an inner and outer shell. 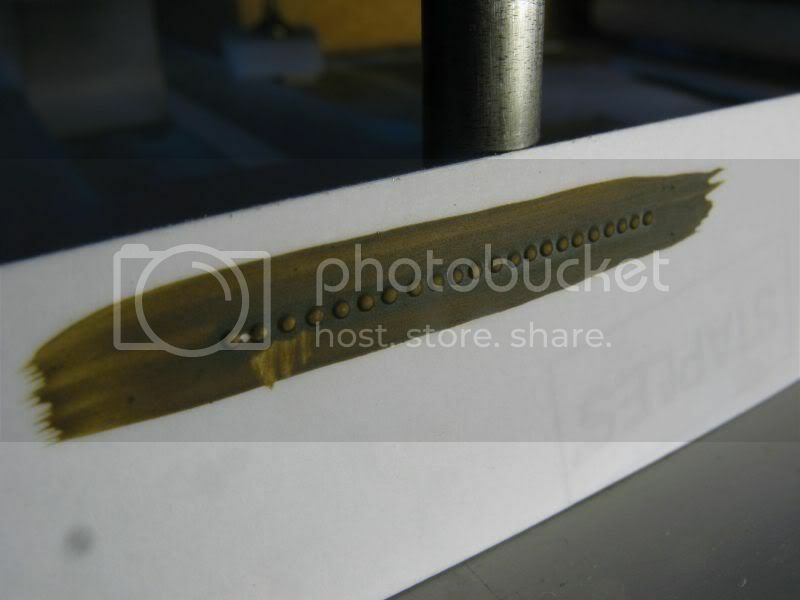 after measuring the distance between the end plates I decided that the inner shell needed to remain hard and the outer, which will get rivet detail will need to be annealed. 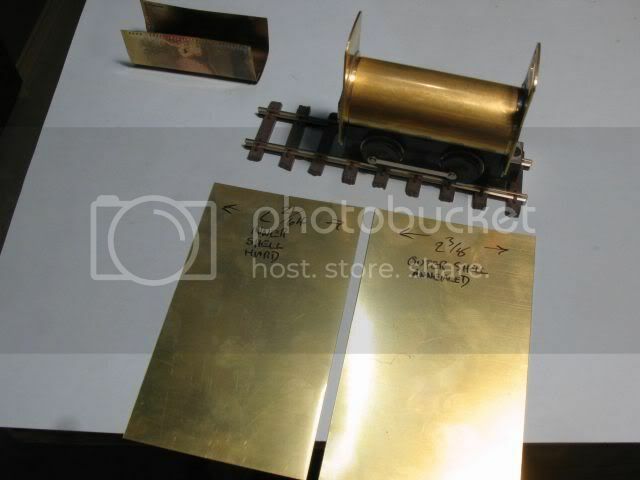 The inner sheet was lightly scribed so that a very tight fold could be made, (I have not ever worked with brass etched stuff but I imagine that this is how they get sharp corners on folds). After scribing and folding the inner shell needed a little relief to clear the flanged rings at each end, this was accomplished with a pair of scissors. Next task was to create the holes in the top sheet, that was done with a couple of punches in the hard sheet before it was annealed, I used the set of golf putter punches that I made a couple of years ago along with the framing hammer on a hard wood base. The evening has been cut short because I was called to help in the third degree tomorrow so I need to polish up some work. Really fascinating work Michael. Enjoying the progress. Thanks. Great stuff. Oh well one more item for the cupboard. Perhaps it can be lying around the factory floor, with all sorts of other clutter. But now that I know how to make the top tank and what the fiddly problems are I can make one the propper height and make some minor adjustment to the proceedure. I think we have all made a similar mistake at one time or another, Michael. I am sure someone of your impressive skills can quickly fix it however. michael wrote: Not quite sure how this happened . 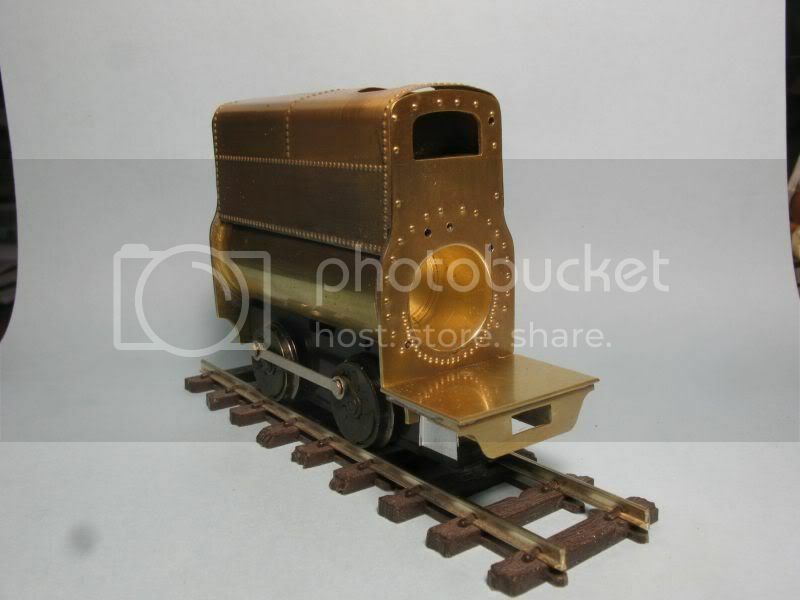 I have also done some vehicles in brass, this project really makes me wanting to start again !! Looking Super, thanks for sharing it with us. Sorry to hear (or "see") the frustration on the top tank, but like the others I'm sure you'll sort it out. 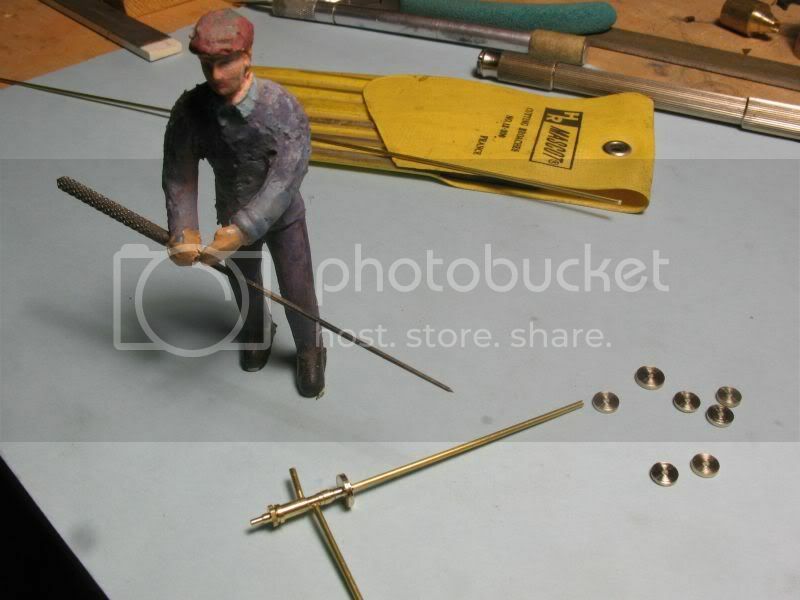 The overall efforts make you a superb modeler ... the occasional mistake just makes you human. And, as we all know, being human can be a challenge at times! 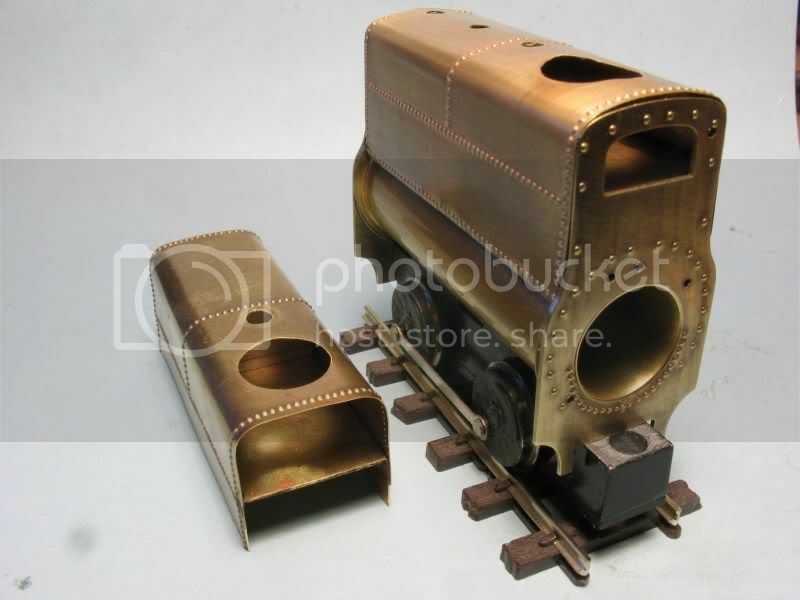 Looking at the detailing inside the smokebox that will be hidden by a door, I now wonder if some of your figures might have 32 little teeth in their mouths even if they're not smiling. Matt, Henrik, and Dallas thanks for your sympathy and encouragement. 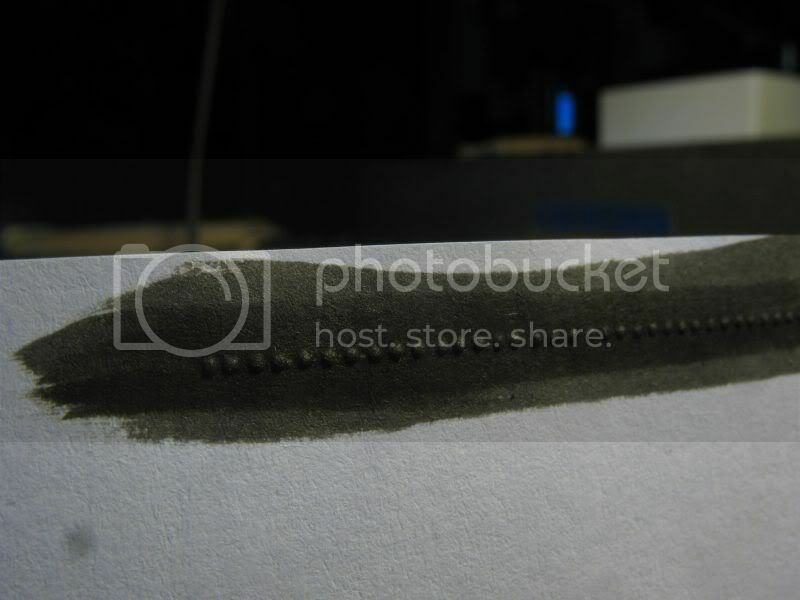 I chopped off the bottom rows of rivets to get the right height and then used a paper strip to get the right length. Now to start over on the tank, I also took the opportunity to make the holes for the dome and chimney screws. Nice work and presentation of said work! So now are you what we would call a rivet discounter??? Is it just me or does anyone else get the feeling Micheal actually did that on purpose to make the rest of us think he's a mere human like the rest of us ? As always Micheal, very well done ! and such rapid progress too, if I had got that far with only one goof up I'd be delighted. 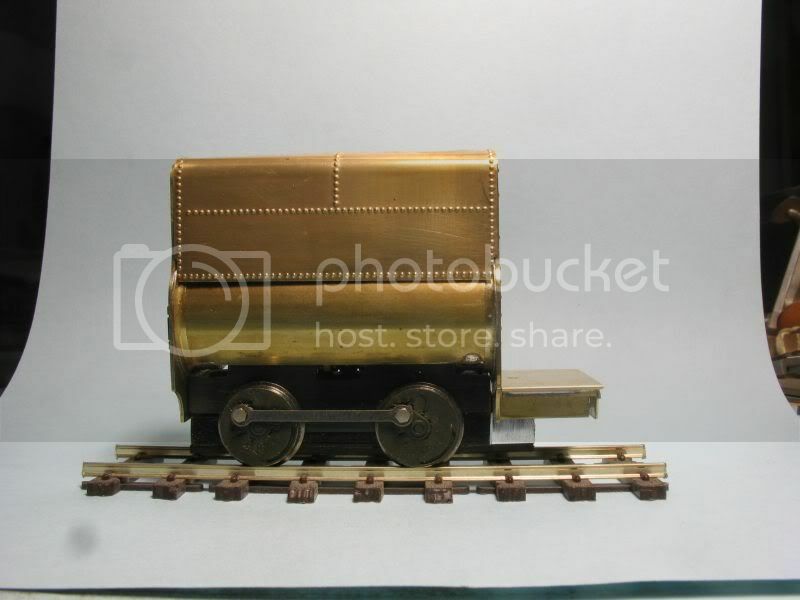 Would love a model of this type of loco but for me it falls into the class of "things I wouldn't dare attempt" for the moment at least. Considering the standard so far it's going to be absolutely amazing when finished. I really cannot ever match your standards, wish I could, I'm off to take up knitting ! Pandy if only you knew how I stuggle sometimes, The new tank was soldered and unsoldered three times this morning, it was very frustrating, the secont time the folded inner plate was too narrow. anyway it is acceptable now. I had a fairly busy week, so progress has been slow. Today I was able to get the rear platform fabricated. It uses the last chassis screw hole for the keeper plate. 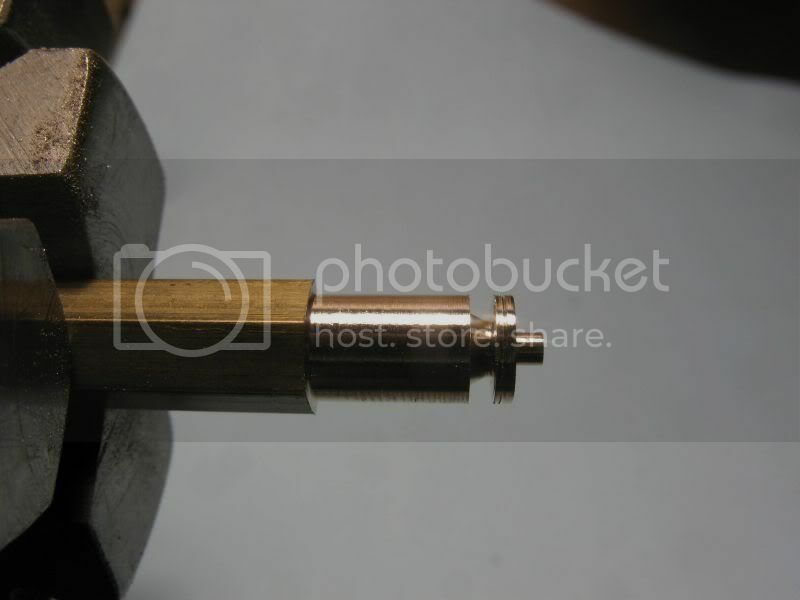 I sweated a short piece of threaded brass dowel to the bottom side of the platform, this locks the plate and the platform. 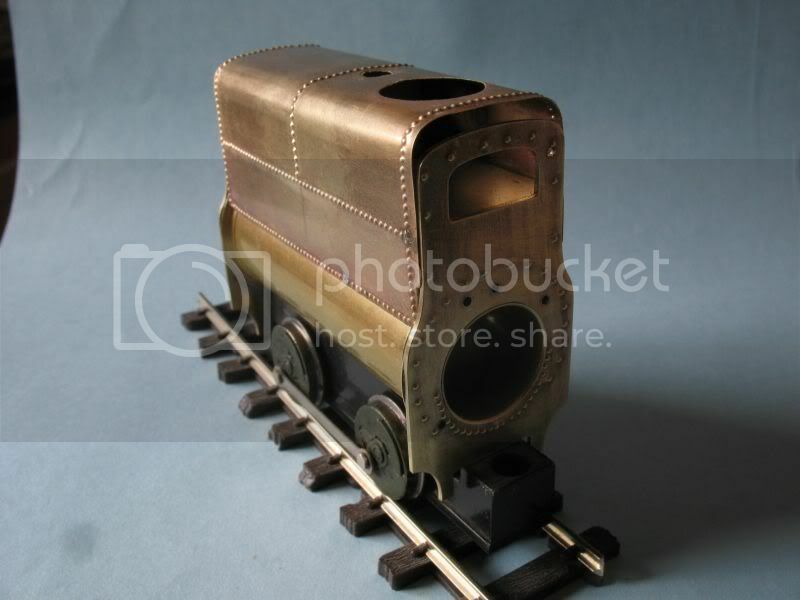 As you can see I had to file a bit of clearance on the Percy casting. The two end plates are now soldered to the boiler tube. The top tank is still loose I will be making a filler block from maple to slide into the chimney end. 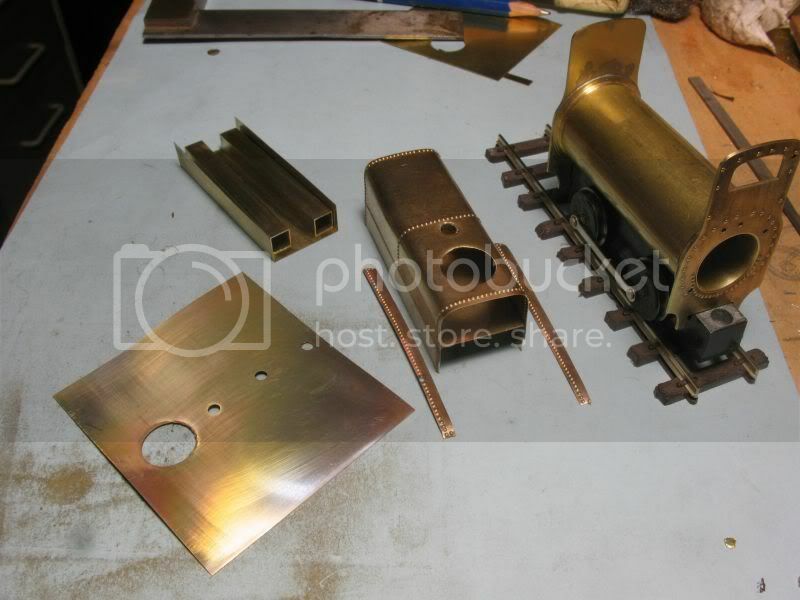 The inside end of the firebox is a push fit from the end. 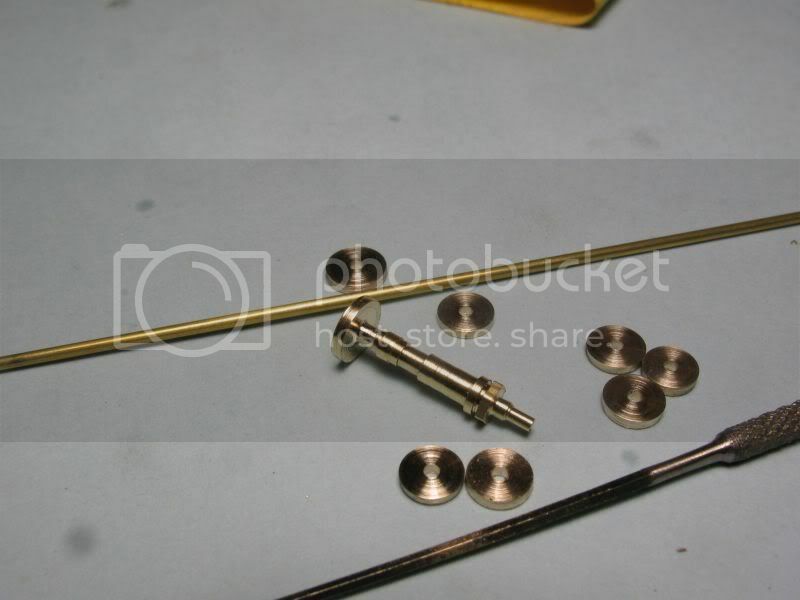 Now a really good SBS when you get to making the controls, valves & levers, etc would be really helpful for me please . 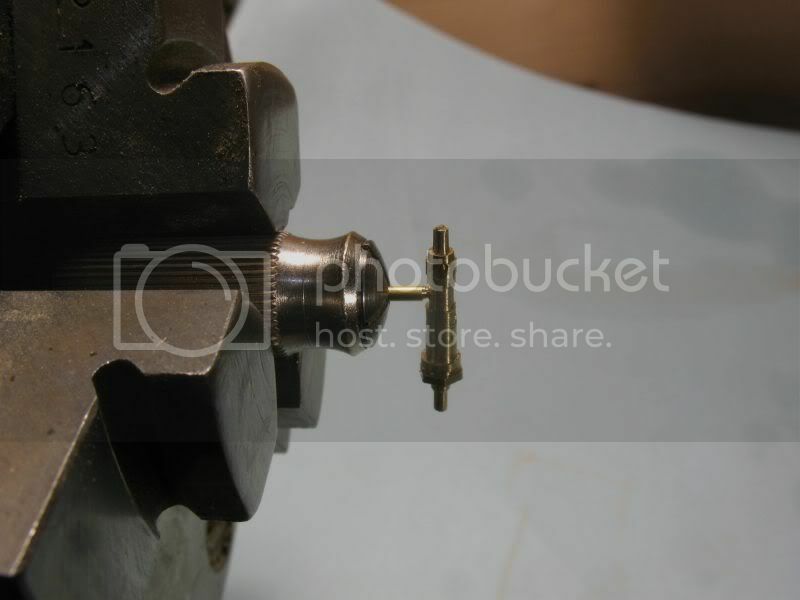 Thanks to James Waterfield who sent me some info and pictures I started on the injector and Check valve. At this scale this stuff is pretty small(I must admire those Japanese folk who do the Sunset Valley brass lost wax stuff)I will be making some compromises based on my eyesight and how many beers I drink during this process. 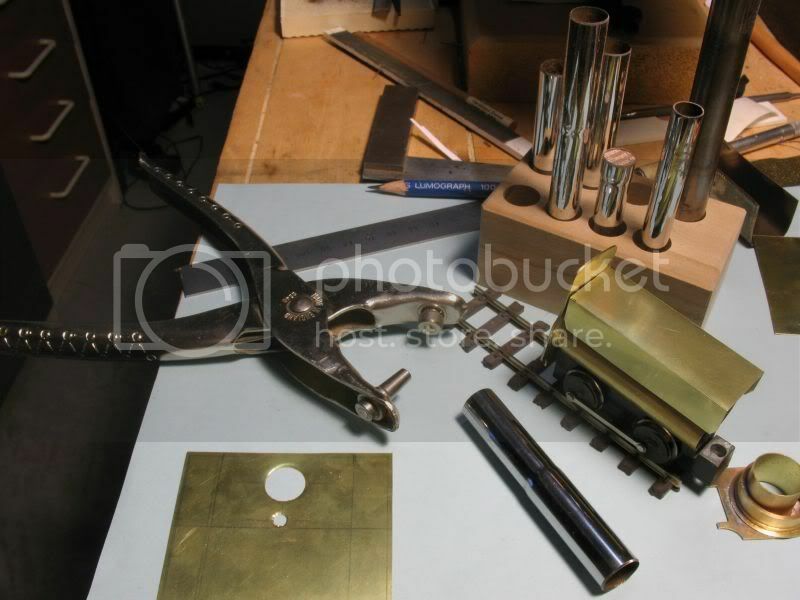 a] I started with some 1/8th hex brass stock and machined the basic shape of the body. b] next I made up a few flanges I made some spares but the first one was designed to be part of the main body. The hole is .046" which is 3/64ths in fractional parlance. 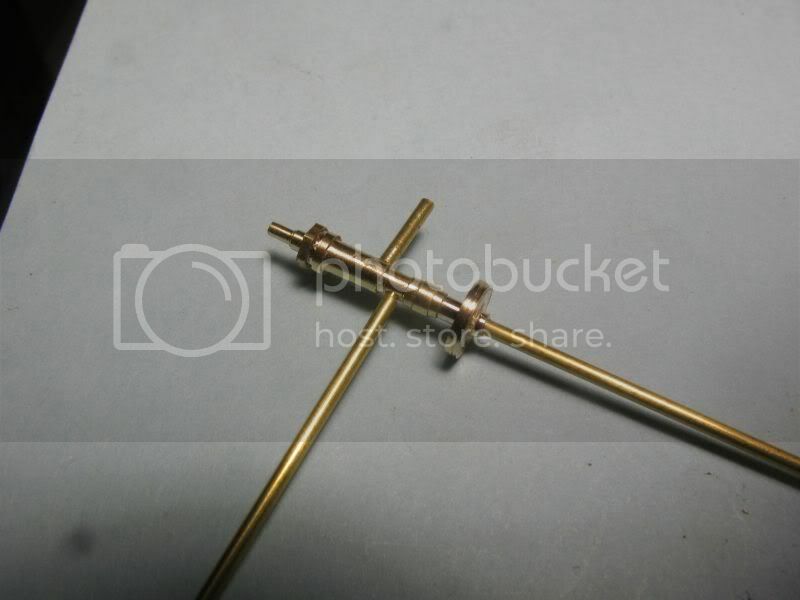 I am going to use some 3/64ths brass rod for the piping. 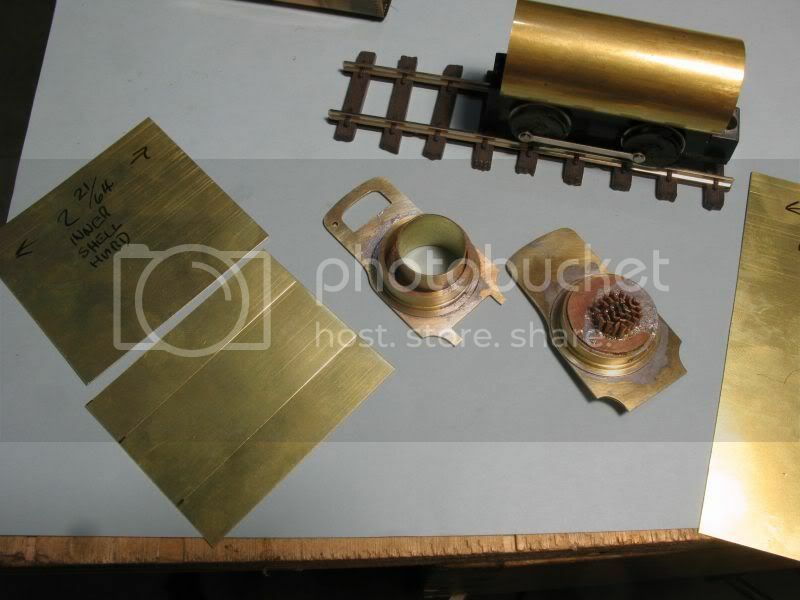 c] the main valve body and the first special flange have been connected. d] After drilling a few .046" holes in the body I needed to drill a smaller one because the body of the valve was smaller in diameter where I needed to drill. I used a .033 #66 drill and then turned down the 3/64th rod to fit. I needed to put one of my pin chucks into the three jaw chuck because the rod was too small for the chuck to grip. A quick assembly to see how things were fitting together. Bertand was wondering about these darned reamers, he thinks they are a bit unwieldy. That will be enough for this evening, this stuff is really taxing on the nerves. 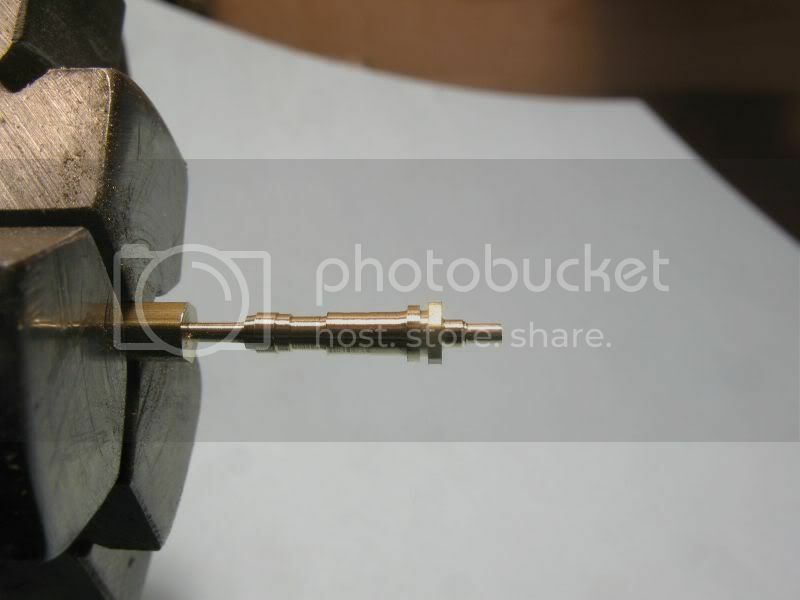 Very neat turning, this is where brass (and a lathe ) scores over plastic. Ralph, yes you are right having a lathe is really a dream, when I was a kid I visited my teachers Uncle who had an 8ft x 4ft garden shed workshop, it had a myford lathe and a drill press. I dreamed that one day i would have a lathe, I used to think about having a workshop with a lathe and a drill press. Time and circumstace have afforded me those luxuries, and I am very greatful for having that opportunity. Because I spent a good part of my life up to now, building models and being paid to do so, has given me a lot of opportunities to add to my collection of tools. But I still maintain that great models can and will be built by people who are determined to persevere with simple tools. It is to those people that I take my hat off to. Great models are built by creative people who give their all to what they are doing, and do it because they have to. but a whole lot of folk build stuff, and we like to build models. Your eyesight must be better than you think! Thanks for the SBS Michael............... just knew it would be worth watching you make these details. I had the chance years ago to buy a really nice small engineers lathe complete with tools ,etc but family commitments led to me deciding that paying the mortgage that month was slightly more important. Never mind I'll get one, one of these days. But just as a bad workman blames his tools ............ just because a I got a lathe doesn't mean I could turn this sort of work out. Would guess there are a a few years of practice in getting to this high a standard. Thinking about the issue of materials, and Gordon and Ralph's comments about a lathe. 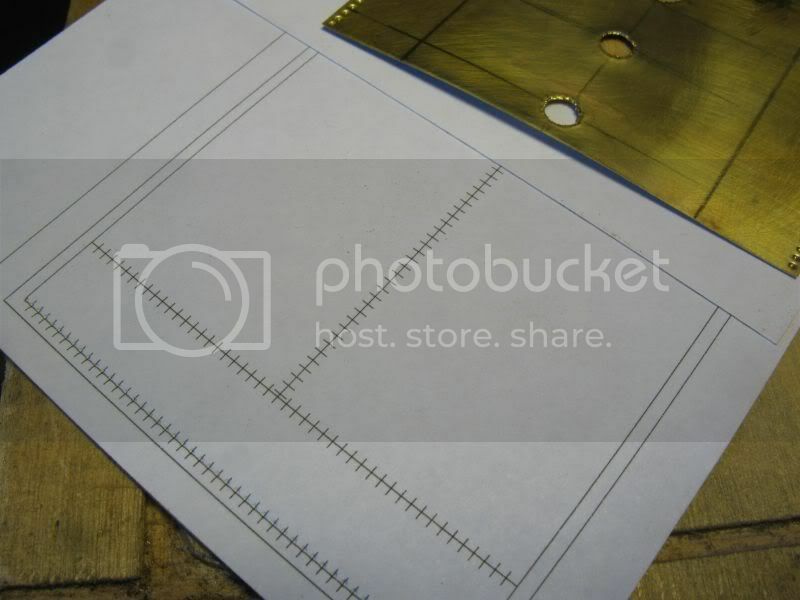 Further thinking about kitchen top work-benches, I thought that making some of these parts in paper as well would be helpful for those who do not have metalworking machines. My first experiments were with straight white bond computer paper. I drew the rivet positions for the top tank and did some punching, then a single wash of Tamiya gloss black. Then I did a further test with glossy photo paper. and a single wash of Tamiya olive drab. I am pleased with the second test and will do some more work with paper. 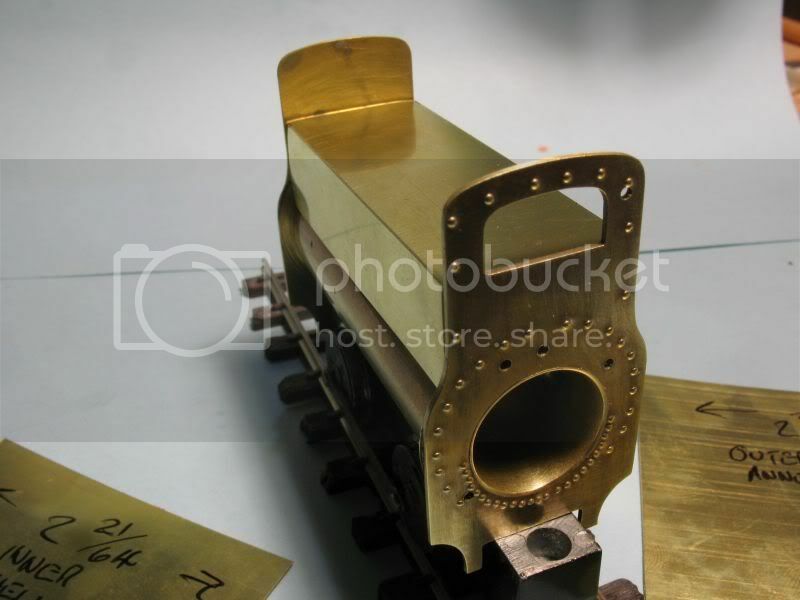 Next I will reproduce the injector and check valve with paper. Having spent my working life in an art school/ college environment I have a great respect for paper and its many uses. Sitting in my office I felt envy at the model making dept . I must admit the use of some great technical help was on tap if I needed it. Paper is certainly the medium of the proletariat! Thanks for showing an alternative method to your work. Like Ralph, my design school experience had paper at its core: we drew and painted art and built models and sculpture in all its variants: from newsprint to chipboard to corrugated cardboard. Strathmore in all its guises was the holy grail. It was relatively inexpensive - though I didn't think so in college - for the quality, fast and forgiving, still my favorite. Very well documented work and fine craftsmanship, a pleasure to review.